The black and white indie film, Clerks, by Kevin Smith has much to teach us. We share five life lessons we can all learn from the film. Never seen the film? 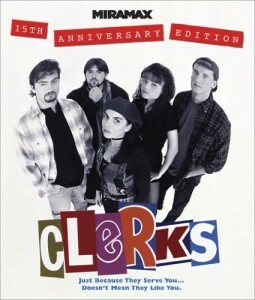 BUY the Clerks 15 anniversary edition for just $6 on Amazon. What are some other life lessons you’ve learned from Clerks? As of June 2014 we have no iTunes ratings. iTunes is one of the most popular ways for listeners to find podcasts. Why not help a potential new listener find a show you enjoy?